2018 RED RAVEN ART COMPANY, Lancaster, Pa.
2017 EMERGE GALLERY, Saugerties, NY "Equine"
2017 RED RAVEN ART COMPANY, Lancaster, Pa.
2016 STANEK GALLERY, Philadelpia, Pa., 242 N. 3rd St.
"MERCURY AND THE LITTLE MYSTERIES/BONUS VERSION"
MERCURY AND THE LITTLE MYSTERIES was inspired by weekly three hour seaside treks at a bird refuge. Time and temperature combined to mark passages and discoveries. MERCURY I is a large oil painting which serves as a kind of base line for the small THE LITTLE MYSTERIES, small satellite egg tempera collages suspended in translucent bags as a temporal form of evidence of those fleeting moments. 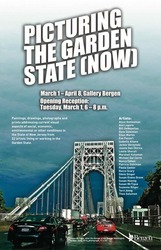 Featuring almost 100 talented painters, collage artists, print-makers and sculptors and from New Jersey and NYC.! and then moves to Victory Hall for light food, wine, live flamenco music and dance from Marc Sloan and Forever Moonlight ! Your donation helps keep us going bringing art, music and classes to our community all year long! DRAWING ROOMS is operated by Victory Hall Inc. a 501c3 non-profit organization. My interest in mermaids came about ten years ago with an email announcement for an exhibition of paintings about Mami Wata, the African water goddess. Coupled with the fact I spent every summer at the beach, and then mostly in the ocean, I spent many hours diving and imagining myself a dolphin. When I was in delivery with my son, I got over the fear and pain by imagining myself in a river of females of all time, just floating and flowing with that river and all the pain passed by. I have no idea where that notion came from. Somehow reading about Mami Wata many years later, something connected. She was known as the "originator, generatrix, the mother, the mother of the gods, the mateless one". Through research of this small selection of images, many of these are goddesses of fertility and motherhood. I do have a hunch many of these goddesses were shifted to sirens, or beautiful creatures used to lure men to their deaths, when a shift to patriarchal societies replaced goddess worship. The research of Mami Wata led me not only to these other myths, a few of whom are later incarnations of Mami Wata herself, as she was worshiped from Africa to Turkey and was perhaps the first incarnation of Isis in Egypt, but also to searching for a scientific basis for these myths. One of the books was a book suggesting an aquatic beginning entitled THE AQUATIC APE by Elaine Morgan, writer and evolutionary anthropologist. Her work and the work of her predecessors is still obviously controversial, but is heralded by the likes of Sir Richard Attenborough. Investigating these world wide myths and seeing the similarites in stories has me certain the search of these mysteries has just begun. Bodies are more fragile than stone and steel. ELDER GALLERY, Charlotte, NC group show "Studio Selections I"
RAPHAEL NUOVO STUDIO, New Hope, Pa.
2008 MIAMI BEACH ARTNOW FAIR, SOMA GALLERY, Miami, Fla.
2002 THE GLOBE GALLERY, Md. solo show "The Midsummer Series"
1978 WILLIAM PENN MUSUEM, Harrisburg, Pa. "Women in the Arts"